Kids Scuba is a PADI 5 Star Dive Center in Subang Jaya, Kuala Lumpur, Malaysia, which strongly supports the Diveheart Program. Hj. 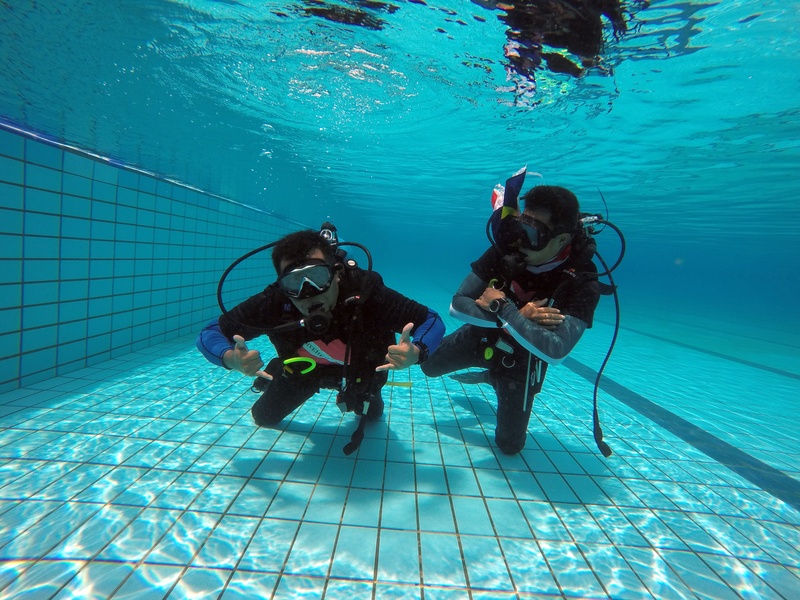 Syed Abd Rahman, the founder and director of Kids Scuba and a PADI IDC Staff Instructor is currently the Ambassador for Diveheart in Malaysia. He oversees the special program designed for person with disabilities (PWD) and special people that allows them to experience zero gravity underwater in a weightless environment. He shares his insights and perspectives here. The objective of the program is to build confidence, independence and self-esteem in the lives of children, adults and veterans with disabilities through the sport of scuba diving, scuba therapy and related activities. The purpose of the program is to provide and support educational scuba diving programs with PADI courses—such as the PADI Seal Team, PADI Junior Open Water and the Open Water Diver course—that are open to any child, adult or veteran with a disability, with the hope of providing both physical and psychological therapeutic value to that person. The program’s focus is both on training and travelling, as we have PWD divers and participants joining our island trips to Tioman Island in Pahang, Malaysia, as well the island of Bali in Indonesia, to complete their PADI Open Water certifications. The response has been good in Malaysia, especially in Kuala Lumpur. 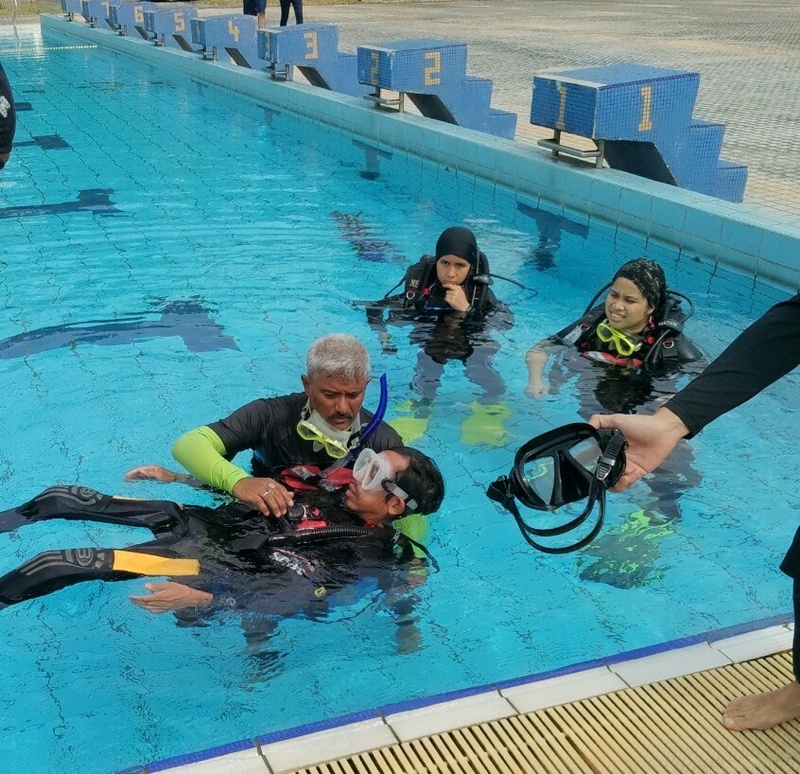 We now work closely with the professors and doctors of the University of Malaysia Medical Center Department of Rehabilitation Medicine in the training of the PWD students from the University of Malaysia and in the training of the second batch of four PWD youths for the PADI Open Water Diver course. Kids Scuba and Diveheart in Malaysia work with individuals who have a variety of disabilities, including physical and developmental disabilities, vision and hearing impairments, amputations, post traumatic stress disorder and other ailments. Kids Scuba and Diveheart in Malaysia seek to help its participants “imagine the possibilities” in their lives. The program helps to instill the “I can do it” and “We can do it” spirit in participants, inspiring them to take on challenges that they may not have considered before. Using zero gravity and the adventure paradigm of the program, we help participants believe that if they can scuba dive, they can do anything. We have discovered that the forgiving, weightless environment and wonder of the water column provides the perfect gravity-free environment for those who might otherwise struggle on land. In the underwater environment, we are all equal. The sport of scuba diving can help persons with impaired hearing to start a career in commercial diving. Persons with leg amputations may also be given a chance to do commercial diving. I personally refer to quotes from the movie, “Men of Honor,” starring Robert De Niro and Cuba Gooding, Jr., which is based on the real-life experience of a US Navy diver. In Malaysia, dive locations such as Tioman Island in Pahang, Redang Island in Terengganu, Kota Kinabalu Marine Park and Mabul Island in Sabah, Borneo, have seen scuba diving or snorkeling programs involving PWD divers getting certified in the PADI Open Water and Advanced Open Water dive courses. The program has grown successfully from a small group, a few years back, to large groups of divers, volunteers and assistants involved in the scuba diving and PADI certification programs at the marine park islands of Malaysia. As a PADI dive professional and a scuba educator for the past 15 years, I strongly believe that we should always reach out to other communities and assist others, especially the “special people”, and share what we have and our professional knowledge as a role models in the sport of scuba diving. Organizations, such as Diveheart, have complete training programs to assist certified divers and dive professionals learn how to conduct courses designed to coach, train and guide persons with disabilities in the sport of scuba diving involving water therapy.